Colour Vibe: Soft Strawberry Blonde conditioning shampoo-in colour. A conditioning shampoo-in colour to refresh, revive or transform your hair colour. 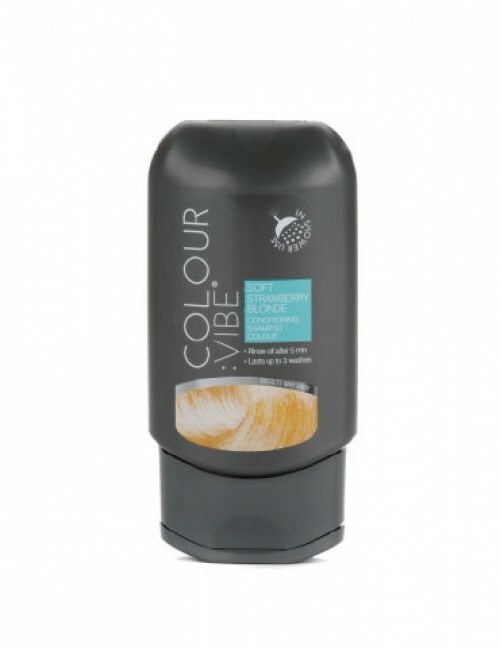 Lasting up to 3 washes, Colour Vibe allows you to change your colour to suit your mood. Vibe Soft Strawberry Blonde will not lighten hair tone.